This article is a collection of best web design and development Cheat Sheets. A cheat sheet or crib sheet is a concise set of notes used for quick reference. When you work with difficult software or language then you need an easy way that can lead to smart work. The work of a web designer or developer requires lot of hard work and dedication. Its takes so much time to develop a website. First you need to create a mock up design and then you need to create the basic design and then the coding part. If you get some kind of cheat sheet that helps you to complete your work in lesser time then it will be a great gift for you. Today I thought about compiling the list of cheat sheets that can help web designers and developers. This post features the cheat sheets for web designers and developers. 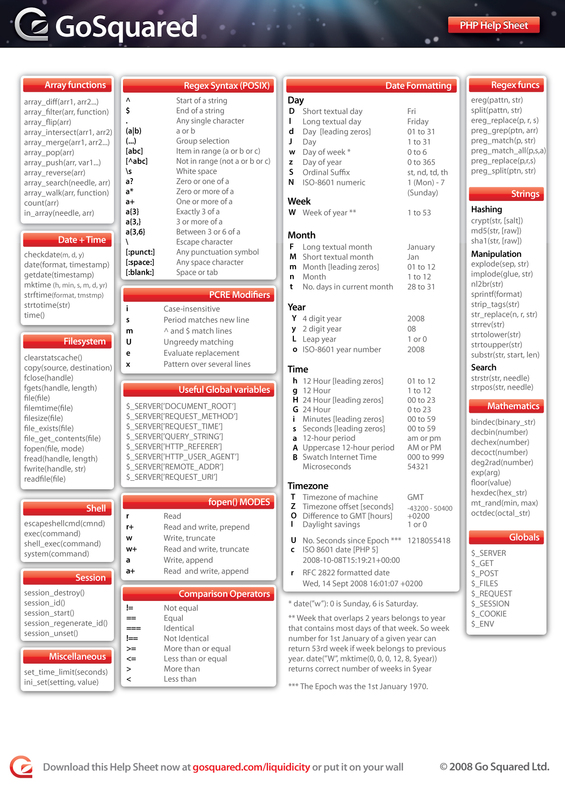 The cheat sheets included in this post are Photoshop cheat sheets, jQuery cheat sheets, CSS cheat sheets, HTML cheat sheets, PHP cheat sheets and many more. Do share this article with your friends to help us spread the word.